No promotional offers at this time. 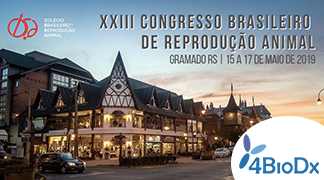 SPQI - 4BioDx and LEAC will be present together at the XXIIIe Brazilian Congress in Animal Reproduction in Gramado (Brazil)! Please visit us at our booth ! More details on www.4biodx-breeding.com website ! SPQI - 4BioDx e @LEAC - Produtos e Serviços Life Science juntos no XXIII Congresso Brasileiro de Reprodução Animal. Visite nosso estande e conheça nossas novidades!